This spring, AEGEE-Cluj-Napoca is organising a thematic conference about the benefits and/or disadvantages of a Europe without borders. During the event, they will commemorate Franck Biancheri, the founder of AEGEE, and celebrate their 25th Anniversary. Bellow you can find more information about the event that will be organised in collaboration with Your Vision for EUrope Project. The AEGEE congress in Paris, April 1985, was the result of Franck Biancheri and Philippe Micaelli’s hard work. 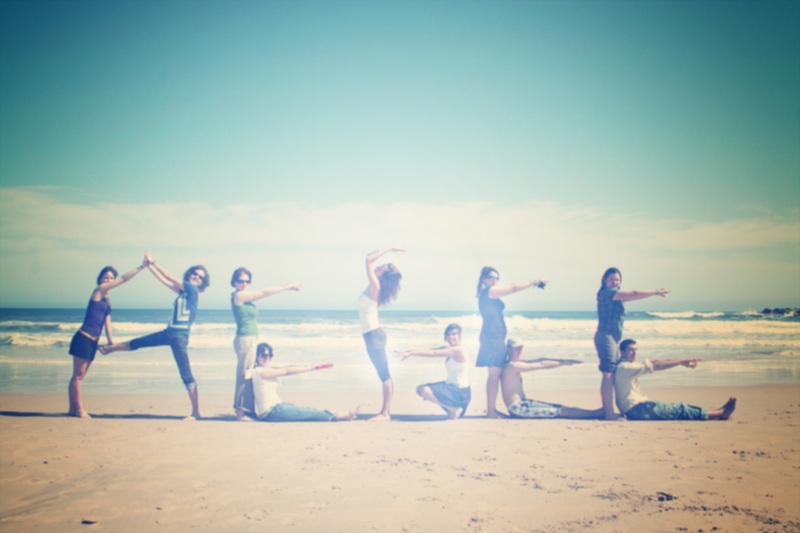 Without their drive and initiative, we could not have experienced all the great things that AEGEE has to offer. Franck Biancheri was passionate about the things he believed in and, as a leader, he inspired many people, irreversibly changing the lives of thousands of students all over Europe. 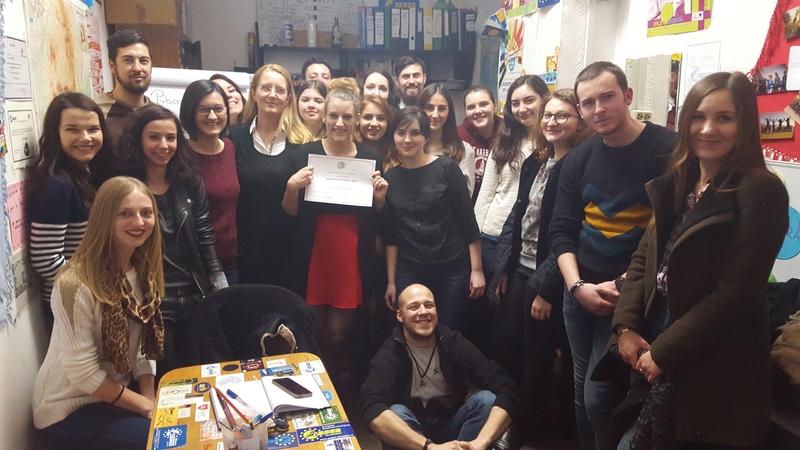 In order to keep Franck Biancheri’s memory alive, AEGEE and the Association des Amis de Franck Biancheri (AAFB), created the Franck Biancheri Year Award, an event in which an AEGEE antenna honors his memory and remembers his contribution to the foundation of our organiation. 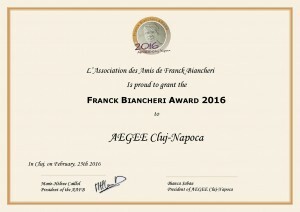 This year, AAFB changed the name into Franck Biancheri Award. Even though the award was given in order for an antenna to organise events during the whole year, in 2016 they changed the concept a bit, and in spring, when all nature comes back to life, one event will be organised by the winner local of the award. AEGEE-Cluj-Napoca has the opportunity to collaborate with Your Vision for Europe Project to create this event, which will consist a three-day thematic conference “Borderless Europe: Blessing or Burden” in order for the ones to present how to explore the benefits and disadvantages of a borderless Europe. The event will take place between the 6th and 9th of May in the former European Youth Capital and is aiming to gather 50 participants interested in the life of the founder of AEGEE and in discovering the life of Cluj-Napoca, from all over Europe, as well as AEGEE members and non-AEGEE members. Schengen: Have Europe’s borders really disappeared? Expansion of the EU (2004) and what will happen to the Balkans or Turkey? How can EU citizens really understand the visa regulations? Being the first antenna in Romania and one of the first in Western Europe, this year on 9th May, AEGEE-Cluj-Napoca will celebrate its 25th Anniversary that will also be part of the event. For the organisers, the preparations for the event have already started and they are waiting for amazing people to spend beautiful days in their city, learn more about Europe’s external borders and Europe without borders, commemorate Franck Biancheri and celebrate their 25th Anniversary.